It was another day… I bought a cyan version of the Nokia Lumia 900, jumped to the back of a bus, launched Tentacles and headed to work. A beautiful girl with long blond hair and sparkling blue eyes entered a bus, since it was crowded, she sat next to me. A sweet smell of her fragrance spread through the bus as I caught her looking at my new Lumia phone… Moments later she asked me, “What kind of phone is this?” This? 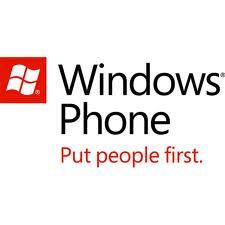 It’s a Windows Phone. She looked intrigued as I explained her idea behind the Metro UI. She took a phone from my hands and tried navigating through the interface; there were a lot of subtle touches between both of us as I lead her into the unknown. Moments later Anny found a Bing Translator app, which, as you might know, allows you to translate text on a fly to different languages. As I explained her capabilities of the Camera feature, Anny did not believe me, which just made me smile, I felt like a mighty wizard. I challenged her to borrow the newspaper from the friendly lady in front of us and Anny did just that. Over the course of next 10 minutes we had a lot of fun, we teased and laughed at each other as both of us struggled to pronounce French words… But it did not matter; we were enjoying the moment and each other’s company. I was approaching my bus stop and asked for her number, she smiled and wrote it down on a piece of paper. The rest is history but the very next morning after our date, I asked her, “Why did you approach me?” and she said, “It was the phone, by looking at it, I instantly knew that you are different from other guys, that’s exactly why”. There is no doubt in my mind now, Nokia Lumia 900 and Windows Phone combination is more than just a phone, it’s a statement, and a real conversation starter. I didn’t know people were writing fan fiction about Windows Phone already. Lol. So this is where 1bln $ for promotion went. To science fiction writers. Dude how much did they pay you to get laid with windows phone..